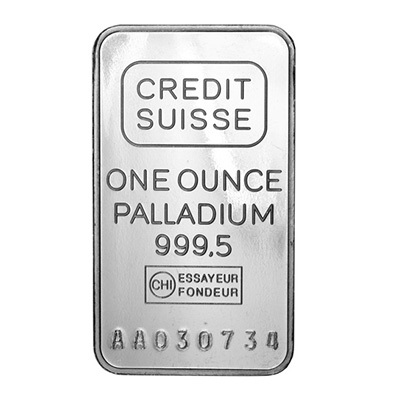 If you are looking to diversify your precious metals portfolio, the 1 oz palladium bar is an efficient way to acquire Palladium bullion, offering a low premium over the spot price. 1 oz palladium bars contain one troy ounce of palladium each, with a high purity of 0.9995. These bars can be included in a precious metals IRA. All of our palladium bullion are sourced from LBMA-accredited precious metal refiners. Actual brands and appearances may vary from the picture above. Diversify your portfolio with a 1 oz Palladium bar today. The Palladium Canadian Maple Leaf coin offers the perfect blend of elegance and investment appeal. It is an excellent choice for those looking for portfolio diversification. This attractive Palladium Maple Leaf benefits from low premiums over the spot price, and represents an efficient way to add Palladium to an investment portfolio. Issued by the Canadian Mint, the Palladium Maple Leaf is 99.95% pure and contains one troy ounce of Palladium. The coin has a face value of $50 Canadian and is eligible for precious metals IRAs. 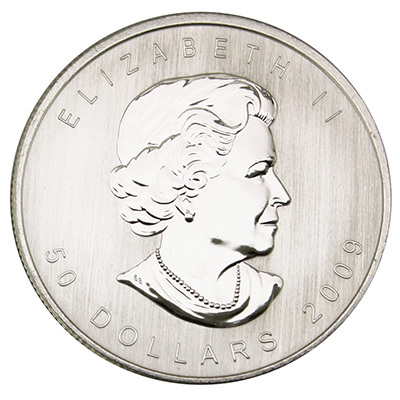 Queen Elizabeth II is featured on the front of the coin while the back displays the iconic maple leaf. Buy the 1 oz Canadian Maple Leaf Palladium coin for your portfolio today.